How Long Do Surveys Take? For individuals living in London, participating in market research can be a fun and simple way to earn extra money. The registration process is easy – potential researchers fill out an online form and upon successful completion they become part of the company’s database. When a project arises that requires people from their demographic, researchers are asked to meet with the rest of the focus group to give their feedback on the product or service being marketed. Members of this group then receive cash for their feedback and the time spent in each meeting. A market research group is also known as a focus group, and the purpose of these is for business and companies to gather feedback on their products and services. The market research can be for new or existing products, from London or international merchandise available to those in the UK. For instance, a company may be considering a plan to change the labels on their most popular soup cans. Researchers may be asked to comment on the current label, if they are drawn to purchase that particular product due to the look or if they would still purchase it with a different label. They may then be shown some new ideas for labeling and asked to choose a favourite. These opinions are invaluable to manufacturers and they are happy to reward those who participate for their time and opinion. This payment also assures them of the respondent’s continued confidentiality when being shown unreleased products. 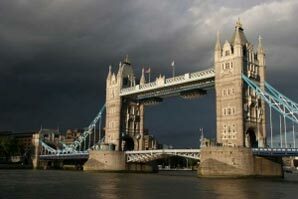 Joining up with a London market research group takes only a few minutes. There are important questions to answer to help the research companies decide which respondents they would like in each of their focus group. So the questions may seem personal, but the companies need to know details such as age, marital status, occupation and more to ensure they have the specific demographic they need feedback from. Just be sure that the company offering the market research is a legitimate one. There are easy signs to look for to spot a company that is dishonest, such as offering ridiculously high rewards or asking for a credit card number while offering nothing valuable in return. Reputable companies will provide a great deal of information on their website, such as contact information, how they use the information they gather from respondents and exactly how their individual reward system works. For instance, do they mail cheques (which can take weeks to process and get delivered) or more commonly do they use PayPal, which ensures respondents are paid immediately? Rewards for participating in market research are commensurate with the time spent and feedback required. Companies are willing to pay individuals cash as they are able to receive in-depth opinions and engage in discussions on how to increase the desirability of their products. Focus groups tend to pay larger amounts than completing online surveys, however some research companies offer both options. Registering for online survey taking can be a great supplement to market research, and also has the benefit of convenience, meaning one can complete the survey at his or her leisure. Another possibility some market research companies may offer is at home product testing. In this example suppliers would send a product to a researcher’s home, where the resident would use the product for a set amount of time and then provide feedback on the performance of said product. In most cases the product tester would be compensated as well as eligible to keep the product they had tested. We hope you have enjoyed our website and will come back again soon. Paid Surveys UK Copyright © 2019 Affility Media Inc.